Monday night's 107-99 win over the Miami Heat was more than just another game in the win column for the Boston Celtics. After five and a half season as head coach of the Celtics, Brad Stevens has become just the fifth man in Celtics history to win 250 games and he joins some pretty good company. Red Auerbach, Tommy Heinsohn, Doc Rivers and K.C. Jones were previously the only coaches to reach that momentous landmark, but now there is another name you can add to that list as Brad Stevens continues to show he is one of the best coaches in the league. Something that makes this an even bigger achievement for Stevens, is what it has taken for him to get here. In his first season in charge of the Celtics, the team finished with just 25 wins as the rebuild was in full effect, however, his second it was very much different as Brad guided the Celtic to a 40 win season and making the playoffs despite holding a losing record. The Celtics first winning season under Stevens would come in his third, as the team went on to win 48 games and reach the playoffs once again via the fifth seed. In arguably his best and fourth season as head coach, he would guide Boston to its first conference finals since 2011-12, thanks to a 53 win year in which the Celtics also claimed the first seed in the east. His most winningest season was of course last year, despite falling short in another conference finals, Celtics won 55 games and that was something that they hadn't been close too since the team won 56 back in 2010-11. Stevens made history then too, becoming just the second coach in NBA history to improve his annual winning percentage with one team in the first five full seasons in charge. 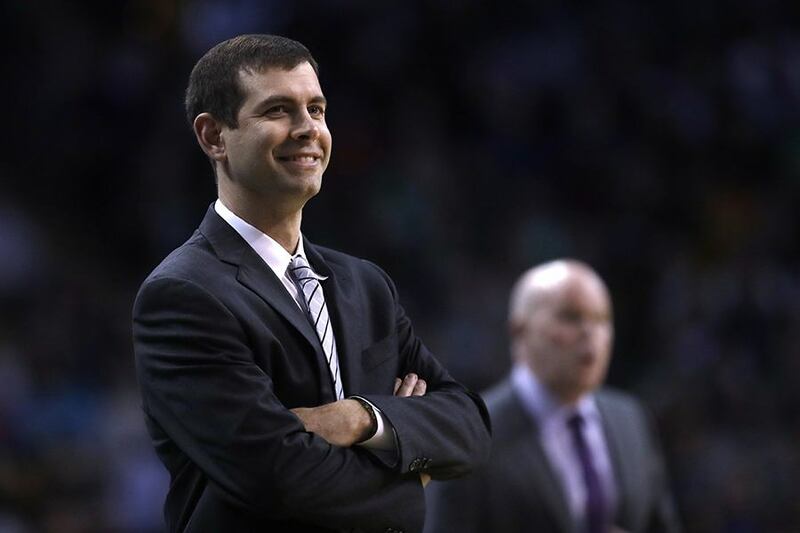 Stevens will look to get his 251st win as head coach when Boston hosts the Cleveland Cavaliers on Wednesday, in a game which will also give the Celtics a chance to make it five straight wins. Brad may not be one for keeping an eye on the records books but just in case, he is now just 58 wins behind Jones who sits fourth all-time with 308 but he is still a whopping 545 wins behind the greatest Celtics coach of all time - Red Auerbach. How impressed have you been with Stevens since he took up the job in 2013? How close can he come to Auerbach's record? Let us know your thoughts.